Nowadays, the stainless steel materials on the market are varied and the materials are also uneven. Although most companies will choose materials that meet the requirements of food production, they must pay attention to the materials and materials when choosing. Because there is no standard for the model layout of the machine, the manufacturer is self-contained in the layout, but most regular manufacturers use the capacity of the turntable to determine the type of the chopper. However, some companies do not adopt this rule. Be sure to ask about the turntable capacity when selecting, because the turntable capacity largely determines the machine’s production capacity. The power is not as large as possible. The effective power of the main motor can be as long as it can meet the power required when the whole machine is working at full load. Too big will only increase the reactive power of the motor and cause waste. Of course, the motor configuration is too small will affect the efficiency of the whole machine. The cleaning of the machine is very important. If there are too many dead corners in the design, it will be difficult to clean. The raw materials will deteriorate due to long-term accumulation, which will seriously affect the quality of the product. It may even cause waste or quality accidents due to the excessive colony. The structure of the chopper combines the amount of vibration and noise during operation. Reasonable structural design is a necessary condition to ensure good operation of the product. Therefore, it is important to understand its structural form. The height of the whole machine directly affects the labor intensity of the operator. If the height of the machine is too high, the labor intensity of the operator is increased, and the production efficiency of the enterprise is also lowered. 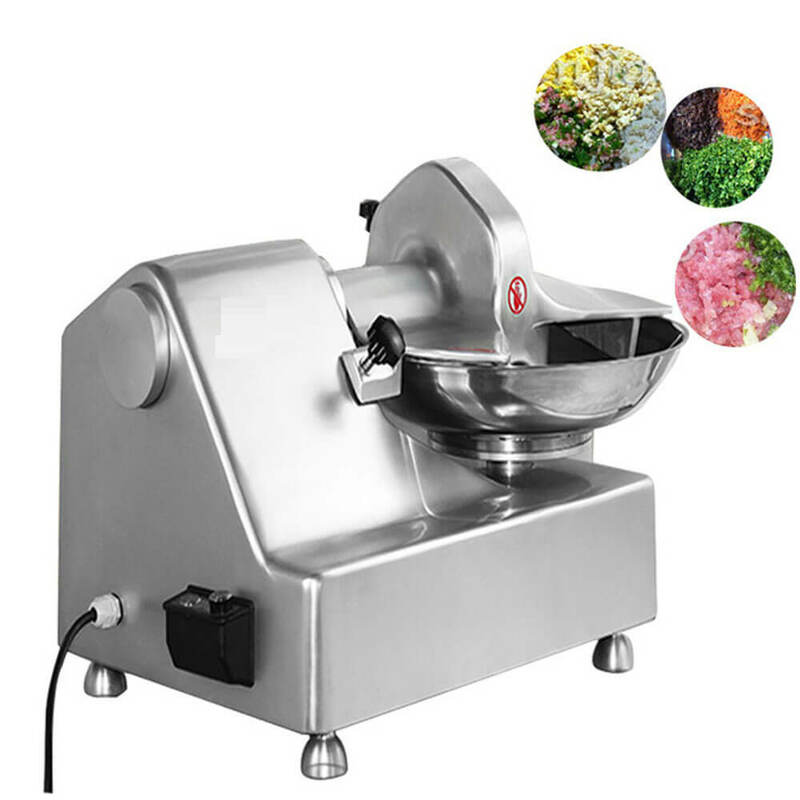 Whether the installation form and installation position of each part of the whole machine are reasonable is another standard for selecting the chopping machine. The position and reasonable installation can make the maintenance, repair and maintenance of the equipment easy, and the good maintenance is precisely the extension of the equipment. The method of service life.